1 Who is Amanda Balionis? 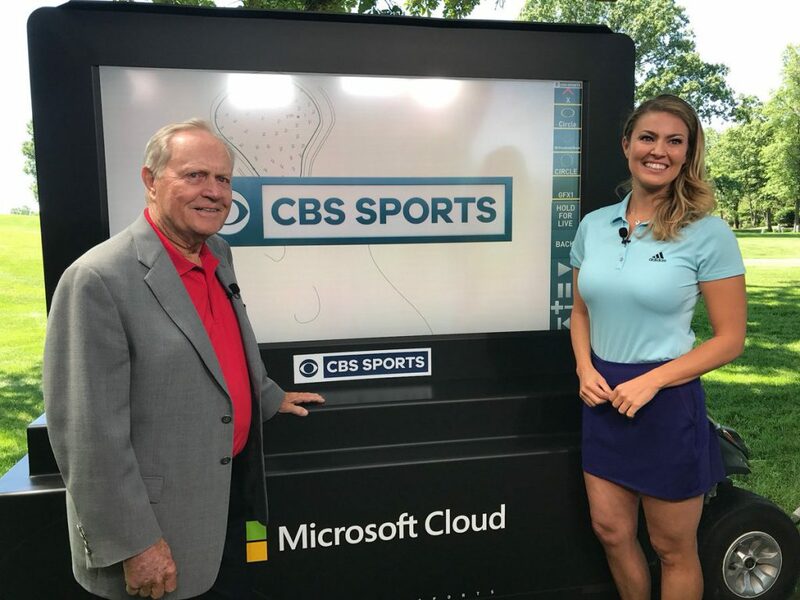 Amanda Balionis, born on the 6th of June 1986, is an American sports newscaster and journalist, who became known through her work as an anchor and reporter for PGA Tour 2014, hosting the Callaway Golf in 2016, and as part of the CBS Sports Golf Team in 2017. Day ☝️ in the ? Balionis was born in Pittsburgh, Pennsylvania and spent her early years growing up in the area. Later on when she turned 10, she moved to Lancaster, Pennsylvania. Ever since she was a kid, Balionis has always had a passion for sports, including volleyball and golf that she inherited from her family. She continued her passion for volleyball at Manheim Township High School, which she attended from 2000 to 2004. Balionis then opted to attend Hofstra University, and took broadcast journalism as her course. What. A. Week. Congratulations to Brooks Koepka winning the 100th @PGAChampionship in his 100 start. Kudos to TW and Adam Scott on a hard fought Sunday as well ? During her years at Hofstra, Balionis also became an active member of various organizations and groups in school. She worked at the local WEHU radio station to hone her skills as a reporter, and joined the student newspaper, The Chronicle, to work on her writing skills, and also became a part of Women in Communications. Even before graduating, Balionis also started working as an intern for various networks to improve her knowledge and skills, including CBS 2, ABC News NOW, the New York Islanders and the New York Jets. She was finished her degree in 2008. Balionis’s professional career started as soon as she graduated; her earliest jobs included working as a reporter for the local Lancaster Newspaper from 2008 to 2009. She also presented on the paper’s weekly online segment, and produced and edited various sporting events too. Her early years as a reporter certainly helped establish her career and her net worth. After a year, Balionis decided to leave the print industry and transitioned to television. She worked as a freelance sideline reporter for Verizon Sports, and covered various sporting events including soccer and basketball matches among high school team sports. Balionis also worked as a sideline reporter for the MSG Network, where she also covered high school games of the week for months, as well as working as a volleyball commentator and features reporter for MSG Varsity. Her transition to television catapulted her career as a reporter and increased her net worth tremendously. Balionis received a minor career breakthrough in 2014, when she became an anchor and reporter for the Professional Golfer’s Association (PGA) Tour. She spent five years working for the group covering hundreds of tournaments and shows, including “Trending on Tour”, “Buy a Mulligan”, “PGA Tour Live” and “The Takeaway.” Her time at PGA not only increased her wealth but also made her fall in love with golf and the people involved in the sport. Balionis then moved to Team Callaway in 2016, where she handled several on-air duties and presented the company’s original content as well as partnering medians and projects. Another breakthrough came to Balionis’ career in 2017, when she moved from Team Callaway to major network CBS, and became part of the CBS Sports Golf Team, which is one of the biggest sporting broadcasts in the country, and has allowed her to cover a variety of major sports events. This transfer certainly helped her career big time, and also increased her wealth. In terms of her body measurement, Balionis is 5ft 5ins tall (1.68m), and weighs 57 kilograms. Other facts about her body include her blue eyes, blonde hair; also she is a Gemini. As of 2018 and based on authoritative sources, Balionis’ net worth is reported to be over $1 million, acquired from her decade working as a reporter and newscaster. In terms of her personal life, Balionis is currently single, and there are no clear reports yet if she is dating or not. There have been rumors involving her with athlete Rickie Fowler, but nothing has been confirmed. Balionis’ other passions when she is not in front of the camera include yoga, golf, and her love for animals. She is known to be an active supporter of the organization Operation Kindness, a group that helps various animals to be adopted and find a permanent home. Balionis is also very active in various social media channels. She currently has over 60,000 followers on Instagram and almost the same number on Twitter.